In many ways, being a rocket scientist has never been better. Half a century on from the golden age of rockets and moon landings, the space race is back. And the sector is awash with funding: VC investments alone surged to a record $1.8 billion dollars last year, according to data from the Tauri Group. The most exciting action is surprisingly close to home—within Earth’s orbit, to be precise. Once out of reach to all but top tier governments and supranational corporations, rapid advances in launch technology are changing the fundamental economics of the industry. From commerce to security and food, the resulting effect on everyday life is being felt across the globe. For traditional satellites, home is 23,000 miles above us, in what’s called geostationary orbit. Here a satellite can remain in perfect sync with the earth throughout the day, simplifying communication and data capture. But getting to these soaring heights requires a ride in one of just a handful of heavy-duty orbital launchers that operate today. This typically costs tens of millions of dollars, requires extremely early bookings, and often prioritizes military and government needs. But the arrival of a new generation of more affordable rockets is changing the landscape. 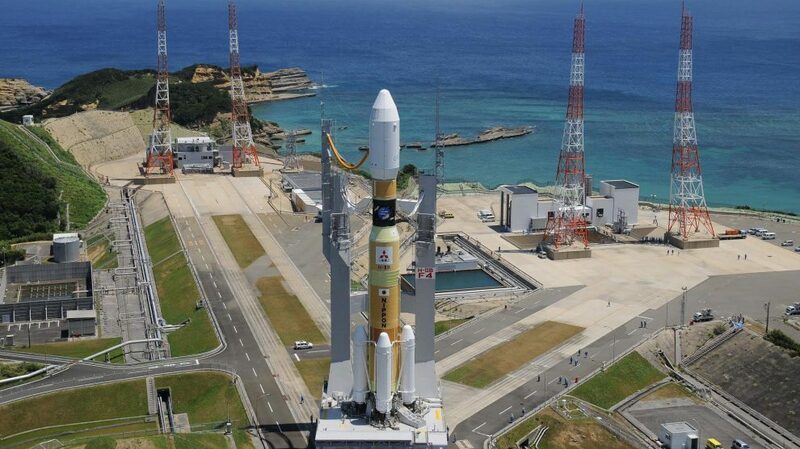 Japan’s Mitsubishi Heavy Industries says it will cut time-to-launch to just 12 months while slashing its price of admission in half (to around $50 million) with the upcoming H3 Rocket in 2020. That’s also when the Ariane 5, which recently broke commercial records with a 10 ton payload, welcomes a younger and cheaper sibling to the family. Innovation is also arriving at lower earth orbit (LEO), a much closer hotspot where the International Space Station operates. Spanish start-up Zero2Infinity is developing balloon-assisted ascent systems, which it claims will cut LEO launch costs for small payloads to less than $5 million dollars. Across the board, cheaper launch costs will likely translate into shorter overall satellite lifespans. This in turn will speed up the pace at which newer technology is rolled out to space, cutting our reliance on legacy infrastructure already in orbit. The imagery and scans they provide produce incredibly valuable insights, the effect of which can already be seen in major industries like agriculture, where firms like Tellus Labs and Monsanto’s Climate Corp are amplifying crop yields. Finance is taking note too, with sophisticated hedge funds scouring Planet Lab imagery for an investment edge. China this month launched a new civilian satellite to monitor oceans and disaster areas in near real-time. This boom will pose new challenges too, from increased space debris to regulatory and territorial disputes. But as with the rise of smartphones, cheaper rockets look set to change the world. It would be surprising if we don’t see entirely unanticipated consumer services and business models emerge as the technology progresses.